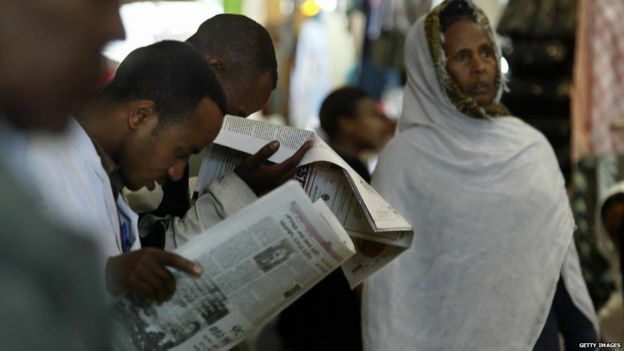 Ethiopian authorities arrested two journalists in the span of one week, the Committee to Protect Journalists said, asking the East African nation to allow for greater openness. Getachew Shiferaw, editor in chief of Negere Ethiopia online newspaper, was arrested on Dec. 25, following the Dec. 19 detention of Fikadu Mirkana, an anchor at state-run broadcaster Oromia Radio and TV. An Ethiopian court granted permission to hold him for 28 days for interrogation after which he is likely to be charged under the nation’s anti-terrorism law, according to the CPJ. The rules criminalize any reporting that authorities might consider encouraging to causes or groups the government labels as terrorist. “Ethiopia prides itself on development, but economic growth is a hollow achievement if the public does not enjoy fundamental human rights such as the right to receive and share information and divergent viewpoints,” Sue Valentine, the CPJ’s Africa coordinator, said in an e-mailed statement. Ethiopia’s police also detained Bekele Gerba, a leading opposition figure from the Oromo ethnic group that’s been protesting against an urban development plan over the last month, according to a government spokesman. Bekele and three other detained leaders of the Oromo Federalist Congress, or OFC, are suspected of inciting violent demonstrations against the expansion of the capital, Addis Ababa, into Oromia regional state, Communications Minister Getachew Reda said. “They’re suspected of committing crimes and conspiring to organize mobs to destroy property,” he said by phone from the capital on Thursday. Security forces killed 82 unarmed Oromo demonstrators during the protests that began last month and spread across Oromia, Ethiopia’s most-populous region that surrounds Addis Ababa, according to the OFC. The government is still collecting information on fatalities and vandalism, Getachew said. Amnesty International said last October that 5,000 Oromos had been illegally detained for political reasons since 2011. Bekele Gerba was released from prison in April after serving less than three years of an eight-year sentence for working with the banned Oromo Liberation Front. The arrests on Thursday are part of another widespread crackdown against Oromo political activists and demonstrators, said Merera Gudina, the OFC’s leader. “I think the government is very angry because millions of people are protesting for their rights across Oromia, so they are trying to punish the opposition,” he said by phone from Addis Ababa on Thursday." Nairobi, December 22, 2015--The Committee to Protect Journalists calls on authorities in Ethiopia to release news anchor Fikadu Mirkana. Fikadu, who works for the state-run broadcaster Oromia Radio and TV, was arrested at his Addis Ababa home on Saturday morning, according to news reports. CPJ could not determine the reason for Fikadu's arrest. It comes as Oromia Radio and TV has, in recent weeks, covered protests against a plan to expand the Ethiopian capital, in a move that campaigners say would displace hundreds of thousands of farmers, according to news reports. Dozens of protesters have been killed during clashes with police during the unrest in the regional state of Oromia, according to a Human Rights Watch report. "Journalists have a vital role to play in ensuring the flow of information, both from the Ethiopian government and also, critically, from those who will be affected by its decisions," said CPJ Africa Program Coordinator Sue Valentine in New York. 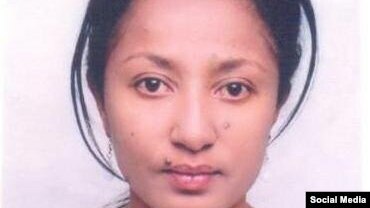 "We call on authorities to release Fikadu Mirkana immediately." It is not clear where Fikadu is being held and neither his family nor his lawyers have been allowed access to him, an Addis Ababa-based journalist, who has spoken with Fikadu's family and who requested anonymity for fear of retribution, told CPJ. The Ethiopian authorities in Addis Ababa and the Ethiopian embassy in Nairobi did not immediately respond to CPJ's request for details about Fikadu's arrest. In recent weeks, the Ethiopian government has used anti-terror rhetoric against campaigners, with the communications minister, Getachew Reda, branding them "terrorists" and "demonic," according to a column by Awol Allo, a fellow in human rights at the London School of Economics and Political Science, published Saturday on Al-Jazeera's website. This language usually presages a crackdown on dissenters, the column said. Protests in Oromia, a region that stretches across central Ethiopia and is home to a third of the country's population, have affected at least 30 towns and prompted the arrest of more than 500 people since mid-November, according to news reports. 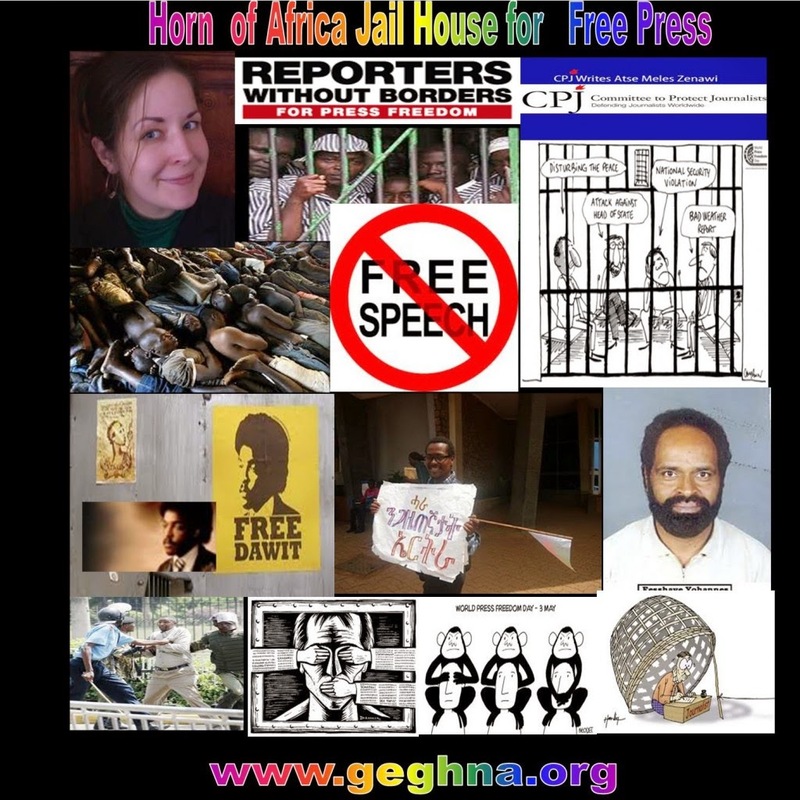 Ethiopia is the third largest jailer of journalists on the African continent, with at least 10 behind bars on December 1, CPJ's 2015 prison census shows." Ethiopian Security forces on Sunday arrested former FESTU Secretary General Omar Faruk Osman upon arrival at Bole International Airport, awaiting deportations, officials said. According to the Somali embassy in Addis Ababa, Omar Faruk arrived at Bole airport to attend the 13th African Regional Meeting of the International Labor Organization (ILO) and was arrested upon arrival. The Ethiopian immigration Authorities deported Omar Faruk Osman on July 2015 as he tried to enter and meet African Union officials who still believe that Omar is the legitimate leader for the various organizations he claims including NUSOJ, FESTU and EAJA, according to the Ethiopia media reports. In December 2013 an Ethiopian court ordered the deportation of Omar to Somalia after finding him money fraud and corruption, after an Ethiopian court in Addis Ababa made a hearing on a case against Omar Faruk Osman, who is a Somali origin, and was arrested by the Ethiopian Federal police on arrival at Boley International airport in Addis, following a complaint made by Ethiopian hotels and companies over money fraud. Somali’s National Union of journalists (NUSOJ) replaced Omar Faruk Osman on February 2011 over corruption and mismanagement, Federation of Somali Trade Unions (FESTU) replaced him on September 2013 in similar allegations, while Eastern African Journalists Association (EAJA) suspended him from leadership in January 2014 replacing him by Alexandre Niyungeko from the Union of Burundi Journalists to the position in an acting capacity. In April 2014, Ethiopian authorities arrested six bloggers affiliated with the Zone 9 collective. The bloggers--Abel Wabella, Atnaf Berhane, Mahlet Fantahun, Natnail Feleke, Zelalem Kibret, and Befekadu Hailu--were charged with terrorism. The Zone 9 blogging collective was formed in May 2012 in response to the evisceration of the independent press and the narrowing of space for free expression. 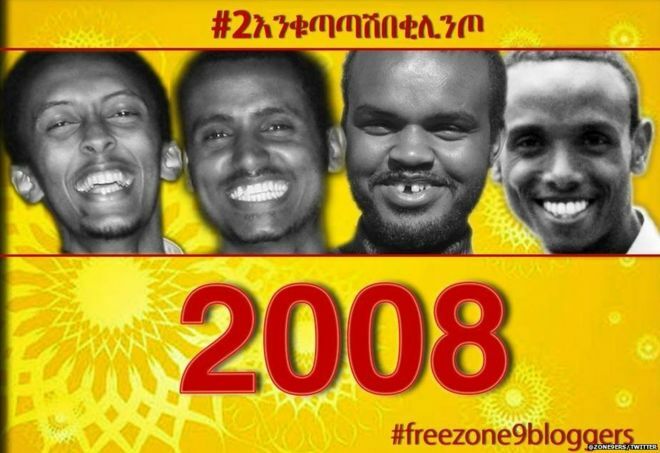 The name, “Zone 9,” is derived from the zones in Kality Prison, the main jail where Ethiopia's political prisoners, including several journalists, are held. While Kality Prison is organized into eight different zones, the bloggers refer to the entire country as “Zone 9” because of Ethiopia’s lack of democratic freedoms, one of the bloggers told CPJ. The collective is made up of nine bloggers--the six named above, and Soleyana S Gebremichael, Endalk Chala, and Jomanex Kasaye, all of whom are in exile. Soleyana has been charged in absentia. In July 2015, weeks before U.S. President Barack Obama visited the country, Ethiopian authorities released Mahlet and Zelalem. The Zone 9 bloggers were arrested along with three other journalists--editor Asmamaw Hailegeorgis and freelancers Tesfalem Waldyes and Edom Kassaye, who were later released. The initial charges against the group included working with international human rights organizations and taking part in email encryption and digital security training. The group was subsequently charged with terrorism. Since 2009, when Ethiopia’s anti-terror law was implemented, the government has used the sweeping legislation to imprison more than a dozen critical journalists, according to CPJ research. In 2012, blogger Eskinder Nega was sentenced to 18 years in prison and Woubshet Taye to 14 years, both on terrorism charges. CPJ’s 2014 prison census found that Ethiopia was the fourth worst jailer of journalists in the world, with at least 17 journalists behind bars. Ethiopia also ranked fourth on CPJ's 2015 list of the 10 Most Censored Countries. With the motto "We Blog Because We Care," the Zone 9 collective has voiced concerns over domestic issues, including political repression, corruption, and social injustice. The collective’s posts were frequently blocked inside Ethiopia, but gained a following with Ethiopians in the diaspora, according to local reports. Their posts on Facebook solicited some 12,000 responses a week, reaching 200,000 during a four-part “campaign” they ran on Facebook. By awarding the Zone 9 bloggers with its International Press Freedom Award, CPJ recognizes the important role that bloggers play in environments where traditional media are weak or have been all but shuttered by financial hardship and direct or indirect state attacks. The text of the Zone 9 Bloggers acceptance speech, as prepared for delivery, is below. Our story begins in 2012. We love telling stories so we logged onto the Internet to tell stories ... and learn from stories told by other people. We have opinions, so we started to blog. The motto of the nine bloggers was “We blog, because we care.” We trusted the laws of our land, but ended up in jail and in exile. That is briefly the story of the Zone 9 bloggers. How did we get the name Zone 9? It was on one bright Sunday in May 2012 we heard the word Zone 9. That day, a few of us went to visit Reeyot Alemu, a journalist who was jailed in one of the biggest prisons of Ethiopia, Kality.Reeyot is here with us this evening. Reeyot's cellmate, who was serving a long sentence on fake charges of overthrowing the government, referred to us as “the people of Zone 9”. We asked why she used this strange name. 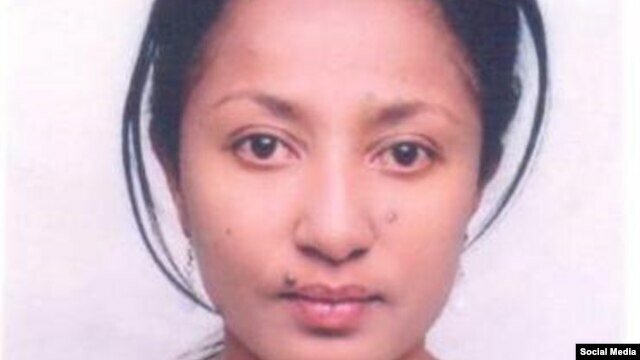 She said the Ethiopian government has divided the Kality prison into eight different zones. When she referred to us as people from Zone 9, she meant metaphorically that we are also in prison, the nation of Ethiopia. That day we named our blogging collective Zone 9. We believe our stories are stories from prison. For us, telling stories and blogging help us to understand our country better. We believe story telling involves exercising democracy and learning responsibility. In a country where journalism is pushed aside and equated with terrorism, in a country where holding a different opinion is a crime, in a country where a ruling party “won” all the parliamentary seats and controls life on an Orwellian scale, blogging is the only possible way out to truth. That was what we did. We were not able to keep blogging for more than two years. Some of us were exiled...., and in April 2014...others of us were jailed for what we love to do, writing. We were tortured and threatened with death. We were labeled as terrorists for campaigning for respect for citizens’ right to freedom of expression. Our bitter-sweet story has much to tell about the present day Ethiopia, in which silence is considered as the beginning of being an Ethiopian. They say, “In silence there is peace.” But, in silence there is fear too. That is the Ethiopian reality. Finally, this prize means a lot to everyone who paid and is paying a price for freedom of expression. Though it is a reflection of the sad and depressing reality, this solidarity lightens hope and strengthens endurance for the many more who are in prison and in exile. Yes, we blog, because we care. Ethiopia released at least six journalists from prison in 2015, but is still holding around a dozen journalists in jail in relation to their work. In May 2015, the ruling Ethiopian People’s Revolutionary Democratic Front (EPRDF) won 100 percent of the vote. In 2014, at least eight independent publications were shut down, according to CPJ research. Between 2013 and 2014, in response to the continued government crackdown on the media, more than 40 journalists fled into exile from Ethiopia. In the real Ethiopia journalists are not allowed outside the capital Addis Ababa. If they try to sneak into the rest of the country they are shot and wounded, thrown into a dungeon and then convicted on terrorism charges. ( October 17, 2015, Eritria, Sri Lanka Guardian) This year the rains failed in southern Ethiopia and some 25% of a country of 90 million people are facing acute food shortages in the coming months. This climate disaster, brought on mainly by western industries damage to the environment, has left the Ethiopian government quietly begging the international community for a preliminary food aid package worth $500 million, desperately need to start feeding over 7 million people. Wait a minute. Didn’t the World Bank just anoint Ethiopia with the title of the world’s fastest growing economy and not just for 2015, but for 2016 and 2017 as well? Get this now, Ethiopia is the world’s fastest growing economy yet it needs half a billion dollar$ in emergency food aid to keep millions of its people from starving? year, depending much on the price of coffee, for the sacred brew and cut flowers make up most of Ethiopian export income. $3 billion dollars a year is all that Ethiopia actually creates, and this to run a country of 90 million? The bottom line is Ethiopia’s “wealth” is almost entirely in the form of foreign aid/investments, something that can disappear even faster than it arrived. On top of all this Ethiopia has the largest best equipped army in Africa including advanced missile systems which it used to attack the Eritrean town of Dekamhare early this year. Ethiopia has hundreds of thousands of troops on the Eritrean border including occupying Eritrean territory. Ethiopia also has tens of thousands of troops on the border with Somalia or in Somalia itself. Ethiopia is fighting an insurgency in the south east, the Ogaden. Ethiopia carries out counterinsurgency activities in the west in Gambella, home to some 1 billion barrels of oil reserves. And of course, Ethiopia is fighting a large well-armed guerilla army in the regimes ethic homeland of Tigray based on the Eritrean border, an army now directed by the leadership council of the newly united major Ethiopian opposition groups such as Ginbot, the real winners of the 2005 “election”. All of this funded by a total of some $3 billion actually generated by the country? In reality it takes another $13 billion a year to fund the Ethiopian “miracle”, with the tab having been picked up until recently mainly by the western banksters and governments. first ever visit to the country by a sitting US President during Obama’s recent trip to Africa. Ethiopia is the only country in the world to be allowed to expel both the Red Cross and Doctors Without Borders (MSF) from an entire region/nation, the Ogaden. And this during the worst climate disaster droughts in history. Even North Korea allows the Red Cross. When you get past all the smoke and mirrors Ethiopia is the policeman on the beat in East Africa for the USA, part of Pax Americana’s policy of using local gendarmes to do its dirty work. And now China is jumping into the mix with a major economic infusion, building a $3 billion railroad from Ethiopia’s capital Addis Ababa to its only port, Djibouti amongst many billion$ of capital projects in the country. The capital of Ethiopia, Addis Ababa, is the most visible sign of this investment, taking on a boom town look, with Africa’s only urban electric train and double decker freeways running through the city. It’s only when you leave Addis Ababa and the freeway turns into a dirt road does the real Ethiopia come into play. In the real Ethiopia journalists are not allowed outside the capital Addis Ababa. If they try to sneak into the rest of the country they are shot and wounded, thrown into a dungeon and then convicted on terrorism charges. I met one of the Swedish reporters I am referring to who have written a book about their ordeal and are on a speaking tour which includes the USA. A good representation of what life is like for most Ethiopians can be found in the film “Lamb” making the rounds of the international film festivals. Living in a one room hut, no electricity, carrying drinking water on donkeys for long distances, few schools, fewer medical clinics and now at the mercy of climate disaster and famine. Yet this is the fastest growing economy in the world for years to come according to the financial terrorists at the World Bank. The bizarre side of all this is that as scenes of millions of starving Ethiopians once again blight the TV screens of the world, the banksters through the western media will keep telling us how fast the Ethiopian economy is growing, one of Africa’s success stories. The problem is climate disaster doesn’t care about all the propaganda, it just goes about its deadly task of reaping what you sow, as in the western industrialists destruction of the environment and African people starving to death as a result. Four Ethiopian bloggers who were detained in April 2014 have been acquitted of terrorism charges by a court in the capital Addis Ababa. The decision means that terror charges have been dropped against all nine of the so-called Zone 9 bloggers, after five were cleared and released in July. Their case inspired a sustained online campaign for their release by activists in Ethiopia and beyond. Ethiopia has frequently been criticised for its record on human rights. The Zone 9 website had carried pieces critical of the government. Three of those cleared are expected to be freed from custody on Friday, AFP news agency reports. 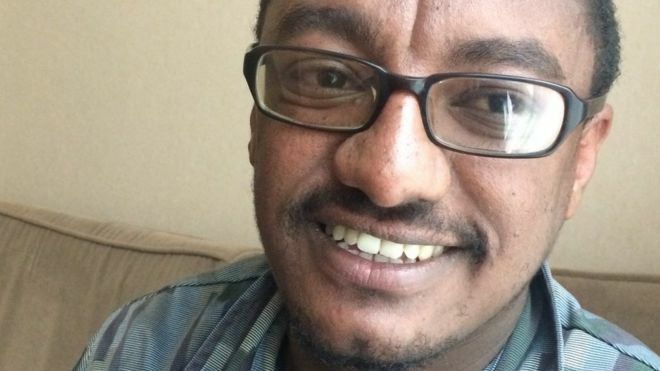 Befeqadu Hailu, one of the four acquitted of terrorism charges, still faces charges of inciting violence Ethiopian human rights activist Mesfin Negash, who has been in touch with the bloggers' families, told the BBC. The courtroom was crowded with friends and family, with many crying as charges were dropped, AFP reports. It's never an easy decision: Should I interview someone who wants to talk in public, but who knows that a word out of line could mean arrest and imprisonment? I've wrestled with the issue before in Myanmar, also known as Burma, Zimbabwe, Iraq and elsewhere. Ethiopian journalist Tesfalem Waldyes sat in a hotel in Addis Ababa last weekend, and decided it was necessary to speak out. "I'm afraid. I'm still scared that I might go back to prison... Maybe today, maybe this afternoon. "[Journalism here] is a very dangerous job, because there's this red line that was marked by the government, and we don't know when we crossed that red line," he said. 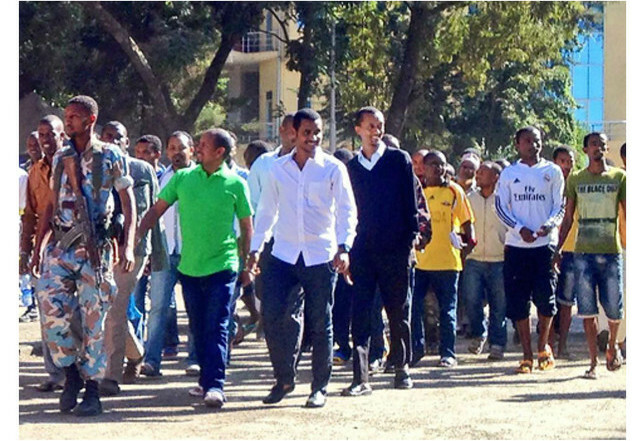 Last week Mr Tesfalem was unexpectedly released from a remand prison outside the capital, along with four colleagues. He and eight other bloggers and journalists had been imprisoned for well over a year, facing trial under Ethiopian anti-terrorism legislation - accused of working with forces seeking to overthrow the state. "It's totally absurd.... Our work has appeared in newspapers, magazines. "We are only doing our jobs," he said, declining to speculate on whether the timing of his release was linked to a big UN development summit being hosted in Ethiopia this week, or President Barack Obama's visit later in the month. Mr Tesfalem said he did not want to talk about prison conditions, for fear of provoking Ethiopia's government, but he was motivated to speak out on behalf of the four journalists still in detention. "I beg all the international community, all concerned people... to push, to keep pushing... for the release of our friends. "The charges are very similar. There is no difference between me and those guys who are still languishing in prison," he said. Ethiopia is a de facto one party state, after the governing EPRDF won every parliamentary seat in May's election. Although it has presided over extraordinary economic growth, and a rapid reduction in extreme poverty and child mortality in the past decade, it is regularly criticised for human rights abuses, and is often ranked as one the world's "most censored" countries.